When I created Michigan Spiders, I had no idea there were so many people who would look up spiders on a daily basis. I did not expect to get so many emails with pictures of spiders people took, asking me to help them identify them. Not that I am complaining, mind you. I enjoy helping. Then I noticed one downfall of Michigan Spiders on-line. The spiders had to be caught or pictures taken for people to look them up! If you are out at a park, camping, visiting friends, or wherever you might be. If you saw a spider, you would have to wait until you could get to a computer to look them up. After all, not everyone has the Internet on their phones, and to be quite honest, I have no idea how Michigan Spiders looks on a phone. So this got me to thinking. 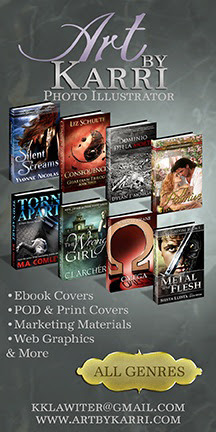 Why not create an E-book for Michigan Spiders? 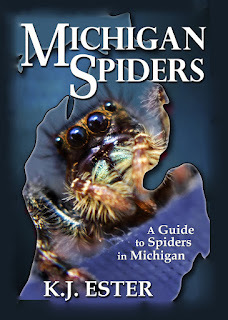 Michigan Spiders the Ebook, will have all of the information the website does now and a little more. It will have good pictures of each spider. There will be more pictures showing the different varieties of many spiders. Some of the pictures have not even been added to the site yet. Unfortunately, this will not be a free Ebook, but it will only be a few dollars and will be well worth having available wherever you are. I understand that many of you will have the Internet at your fingertips wherever you go, and you are welcome to continue using Michigan Spiders On-line as much as you wish. But for those of you who would like to have Michigan Spiders available and do not always have an Internet connection or signal, this is the way to go. As soon as it is published and ready to go, I will post it here. Look for it soon!